Diann Cattani worked for a small business consulting firm that specialized in Human Resources issues. 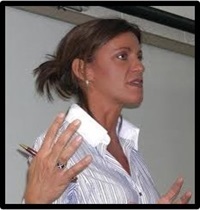 She facilitated leadership training and development programs as well as executive coaching. Cattani became involved in an embezzlement scheme from her employer that would go on for over 4 years. Her actions only came to light after she went into the office of the owner and confessed. She would spend over a year in federal prison as a result. Cattani is a nationally recognized speaker and has delivered a keynote address at the national convention for the Association of Certified Fraud Examiners and has lectured at university programs across the country. Cattani is a graduate in Business Administration from Brigham Young University where she was also on a scholarship for volleyball.